P.S. 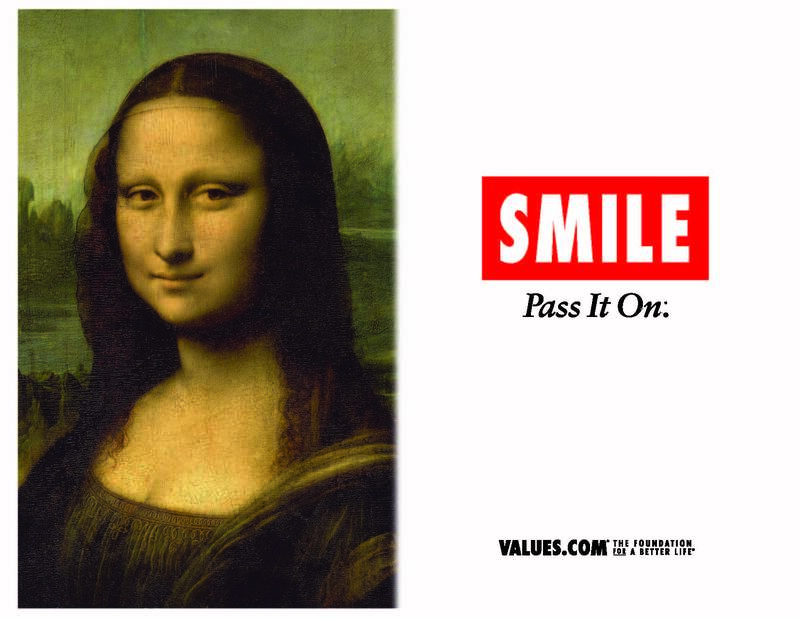 Here’s the latest study on smiling, courtesy of the Wall Street Journal. People from back home ask me all the time if I think of myself as a Texan. I moved to Austin from New York 18 years ago to attend UT Law, and except for two years from 1999 to 2001 I’ve lived here ever since. Despite my prolonged residency in the state, for years and years I answered that I definitely was NOT a Texan. I stubbornly read the New Yorker and the New York Times, rooted for New York sports teams, ate all the lox I could get my hands on, and so on. Despite my resistance, Texas has been great to me. Austin is a bit different from the rest of Texas but shares at least one trait with the rest of the state: the people are very friendly. So friendly, in fact, that Texans often do something that doesn’t happen much in New York: they smile and greet others on the street. For many years, I resisted this absurd habit and, like a good New Yorker, I kept my eyes steadily fixed forward. Throughout my years of exile from New York in Austin and San Francisco (‘99 to ‘01), I kept up my subscription to The New Yorker magazine and a couple of years ago, I read a sad article (accessible here) about people committing suicide by jumping from the Golden Gate Bridge. In it, I came across the following passage, and I have not been able to get out it of my head since. I thought about that passage over and over the way you think about tragedies in the world that happen far away. But I began to notice people as I walked down the street or through the hallways at work, and I asked myself: will that person die if I don’t smile? I didn’t want to be the one who let them walk by me into oblivion. So I decided to smile. At first, I had to remind myself and gradually overcome feeling foolish or shy. But it has become second nature now. And because of this, along with other changes in my life—like raising little native Texans—I’ve begun to think of myself as just a tiny bit Texan. People smile to express their happiness, but they say the reverse is true as well. Several years ago, Scientific American reported (here) on studies that seem to indicate that smiling can make you feel happier. I find this to be true in my personal experience as well. I can be walking down the hall stewing over a deadline or a hard case, and I’ll stop and hold the door open for someone and smile, and it will be a reminder to me that I am very blessed, that fortune goes down and comes back up again, that there are many who suffer far worse than me and can be helped by a smile. What a lovely post. I am a smiler by nature (if you think Texans are friendly, check out Minnesota sometime! ), but I think that passage from that suicide note is going to get me smiling at strangers even more. Thanks for the inspiration. The world is most definitely a better place with you in it, Texan or not. Aside from smiling, I thinking talking people off ledges is one of your many fortes. So your smiles are just the beginning. Personally, I’m a fan of the New Yorker side if you’re taking votes. It’s that ballsiness that breaks down the doors so that you can talk people off ledges. Ron, I think it’s high time for another post . . . another virtual smile, so to speak.